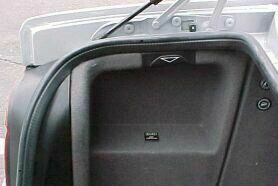 CD changer is a must have for your car. Don't limit what factory cd changer can do. This Brand New Multi CD Changer Has Better Features and Prices! All of our cd changers are Plug & Play. In just minutes, you can enjoy your favorite music. It is ready to play and you can control directly from your factory radio (will display CD on the AM button or have a mode button). Owner Installation manual is also included. NO NEED TO BUY ANY OTHER PARTS. - CD changer magazine & accessories. - CD changer adaptor & hardware. - Universal mounting brackets, bolts, and screws. - Owner manual & Installation Instructions. - 1 year full manufacturing warranty. All CD changer is brand new, NOT used/open box. It comes with 1 Year Manufacturer Warranty. For a special limited time offer, All prices include FREE SHIPPING within continental US via UPS ground. International order is welcomed. After your order is placed, we will notify your order status within 24 hours. Shipping may take 2-5 business days in the US depending on your location. Tracking number will be provided upon shipment. We can accept all major credit/debit cards, echeck, check, or money order. Please contact us if you have any questions. We'll be happy to assist you. 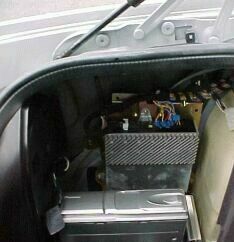 We had installed our cd changer pckg in many car applications. Bellow are some real feedback from our customers. Got it installed and it is working great!Thanks! Installed in minutes. Very happy with the features. Skeptical at first. But, this really rocks. I received the cd changer today, and installed it. It couldn't have been easier. The cd changer is working fine now. I couldn't be more happier. It's fantastic! The changer works as described. I am very happy with it. Thank you for the help. Thanks for the great product. Save me a bunch. I installed the changer this evening. Plug the connector and my radio showed me the cd icon. The changer worked very well. Thank you for the great changer & fast shipping. Thanks for the cd changer. My husband is very pleased with it. I hope we can trade again. Just wanted to drop you a quick note. THANKS! Received everything as promised - easy install over the weekend and have been listening to tunes going to work all week. Car applications not listed above? 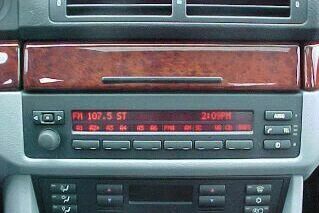 Without factory cd changer controls? "UNLIKE other competitors, Our cd changer package INCLUDES EVERYTHING you need to play the cd changer in your car (certain parts like harnesses are sold seperately by a competitor for over $25-30). Our cd changer is 100% BRAND NEW & Comes with WARRANTY. So you can shop with Confidence!